Learn what Facebook Live can do for your business. 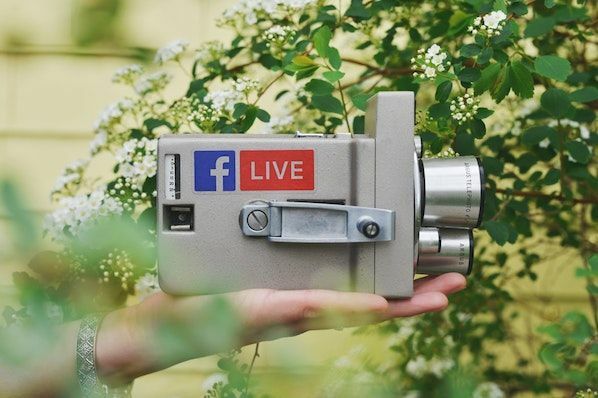 It's no mystery why Facebook Live is so popular: Videos see 3X the engagement of traditional videos shared on Facebook, and millions of users live stream on Facebook around the world. Why are marketers getting so excited about Facebook Live? Because it's a fun and fairly simple way for them to use the power of video to communicate their brand stories, and build authentic relationships with fans and followers -- in real time. 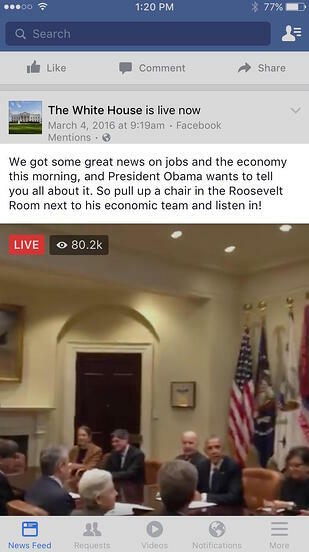 Facebook Live started as a mobile-only broadcasting feature, but now, Facebook Pages can broadcast from either mobile devices or desktop computers. We'll go over how to broadcast from mobile and desktop devices in the sections below. Switch to "Live" on the bottom of your camera screen. 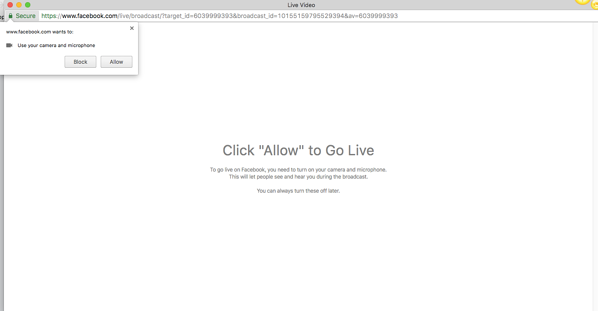 Click the blue "Start Live Video" button to start broadcasting. Click "Finish" to end the broadcast. Open your Facebook mobile app and visit your News Feed. You'll see a camera icon to the left of your search bar -- tap it to open your camera. You'll have to give Facebook permission to access your mobile device's camera and microphone in order to go live. 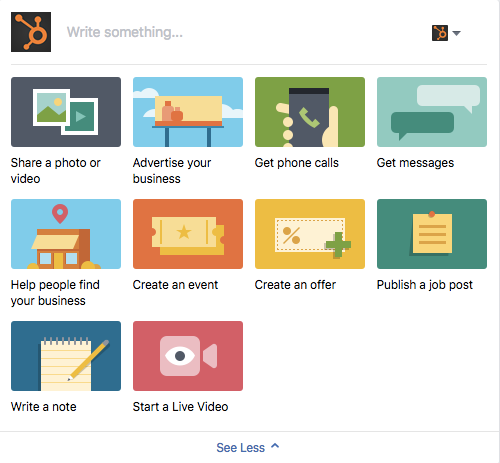 You can also go live on your own Facebook profile. Open up the status bar by tapping the text that reads "What's on your mind?" Then, select the "Go Live" option from the menu, as shown below. 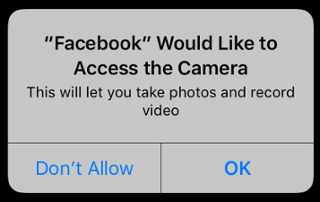 Once you permit Facebook to use your mobile camera, you'll be asked to permit use of your phone's camera content, as shown below. This will trigger your ability to switch from using your rear-facing camera to your front-facing camera -- options that will come into play in step 7 of this guide. 3. Switch to "Live" on the bottom of your camera screen. Once you've given Facebook access to your mobile device's camera and microphone, you'll be ready to shoot. 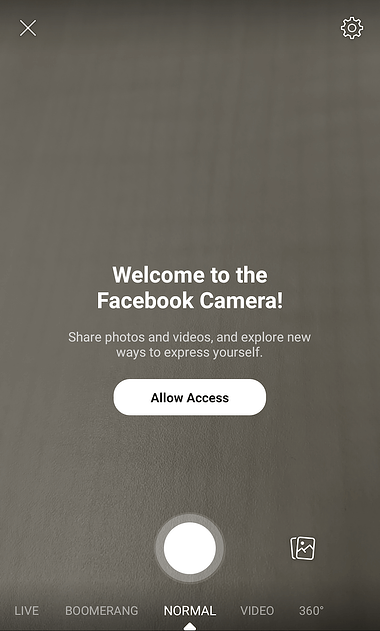 However, your Facebook camera defaults to non-live photo shooting when you open it. 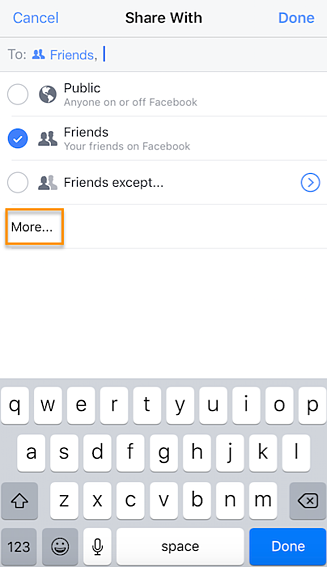 In the screenshot below, see how Facebook Live is set to "Only me" and "Post, Story" at the top of the screen? This means only I can see the live video -- none of my Facebook friends or followers can -- but it's set to post the video as a regular Facebook post and as a Facebook Story if I want it to. You can change these settings by tapping on them. If you're posting for a brand, you'll probably want to make it public so it can reach everyone in your audience who's currently on Facebook. If you're posting as yourself, you might want to reserve your broadcast for friends -- and then set where you want to post this video, as shown below. 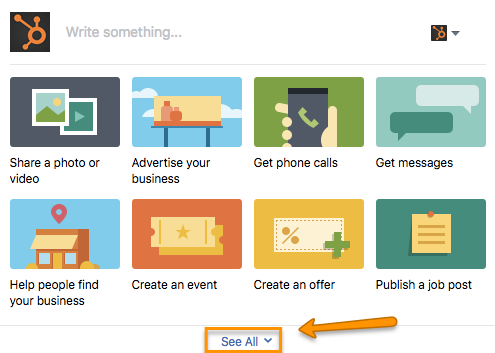 But if you're new to Facebook Live and want to test it out first, or want to prepare your shot before going live, switch your video's privacy setting to "Only Me." You can find the "Only me" option by clicking "See More" and tapping the last bubble, per the following screenshot. 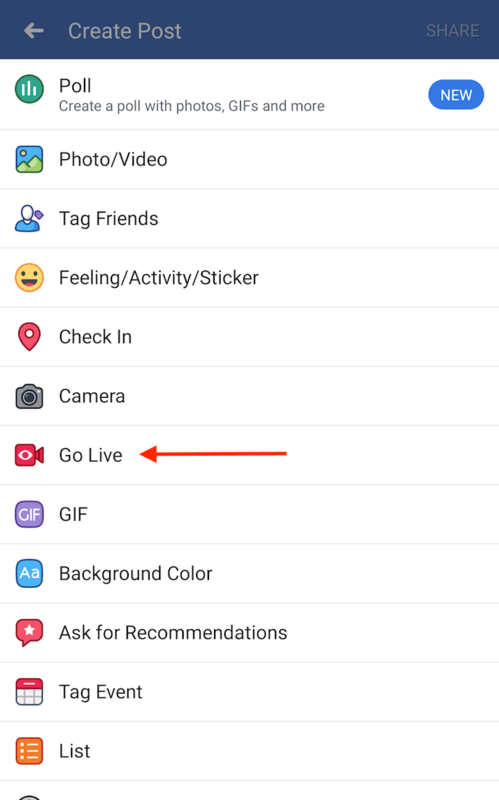 You might also see options to post your live video only to users in specific networks, such as a college or association you belong to. These options will appear below the "Only me" privacy setting. Give your broadcast a description, which will show up on people's News Feeds like a status update above the video. To get people to tune in, write an attention-grabbing headline and help them understand what your broadcast is about. Check out the example below from The White House's live broadcast. As you can see, your video description appears at the top of the live video when Facebook users view it, much like a Facebook photo caption or status update. 7. Set your camera's orientation. Before you click "Start Live Video," be sure your camera is pointing in the direction you want it to point. In other words, do you want to go live with your front-facing camera lens, or your rear-facing camera lens? 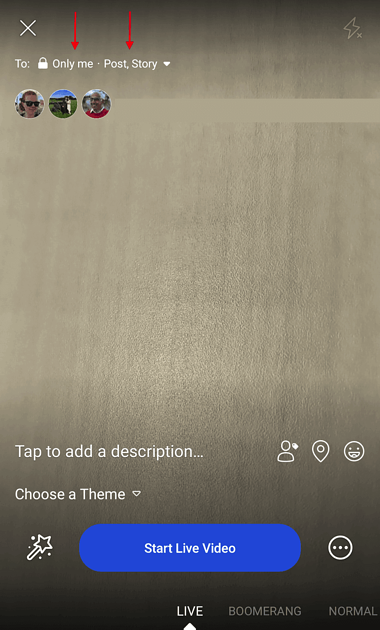 Tap the magic wand icon to the left of the blue "Start Live Video" in the center of your screen, and choose if you want to add lenses to your face, change the filter of the camera, or write or draw to make the video more whimsical. 9. Click the blue "Start Live Video" button to start broadcasting. Note: You can also block viewers during a live broadcast by tapping the profile picture next to a viewer's comment and then tapping "Block." You can unblock someone you've previously blocked, too. 11. Click "Finish" to end the broadcast. 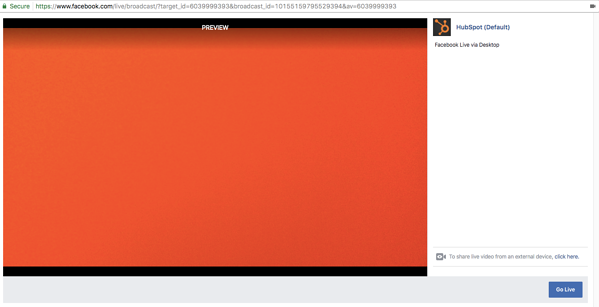 If you're an admin or editor of a Facebook Page for your brand, you can also broadcast live from a desktop computer. This isn't as spontaneous as broadcasting from a mobile device (and, obviously, isn't as mobile), but this could be a good option for filming more static broadcasts. For example, we recently broadcast a Facebook Live panel in celebration of International Women's Day. The panelists and interviewer sat in place the entire time, an example of when broadcasting from a steadier device could be more effective. 1. Go to your Page and tap the "Write something" box, as if you're writing a new post. 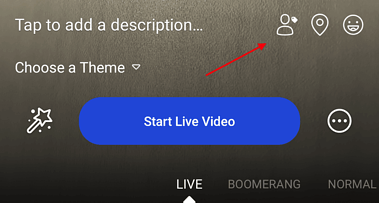 Tap the menu option to "See All," and click on "Start a Live Video." 2. Write a compelling description of your video that will appear on your Page's Timeline and in the News Feed. 3. Give Facebook permission to use your computer's camera and microphone. You won't be prompted for this again once you do it for the first time. From here, you also have the option to share live video from an external device, such as a video camera or other recording device. Tap "click here" to set up that connection. 5. Press "Go Live" to start your broadcast. Facebook will give you a "3, 2, 1 ... " countdown before going live. Tap "Finish" when you're ready to end the broadcast. 6. 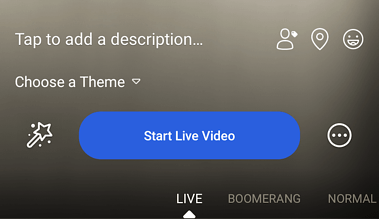 The broadcast will appear in the News Feed and on your Page's Timeline, where you can edit it by tapping the drop-down arrow in the upper-righthand corner. 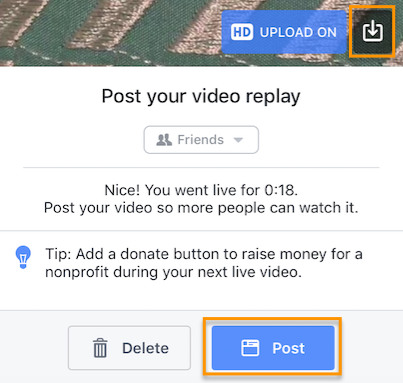 From here, you can change the description, change the date of posting, or create a new Facebook post featuring the broadcast. 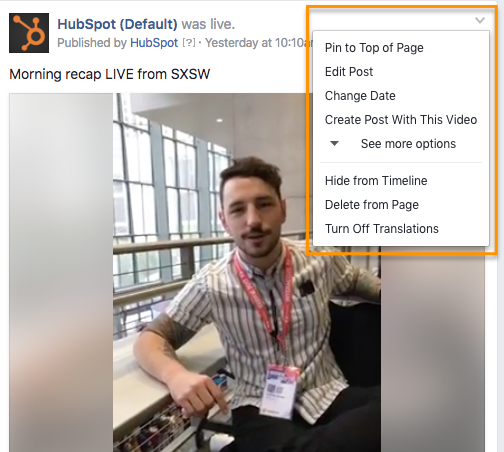 If you want a video to garner more engagement, you can also pin it to the top of your brand's Page so it's the first post visitors see when they visit. Now that you know how to broadcast from all devices, let's dive into how to analyze Facebook Live videos. Then, head to the "Videos" section of your analytics on the lefthand side of the screen. From there, scroll down to the "Top Videos" section, and either choose a video from that menu to look into, or tap "Video Library" to look at all of the videos your Page has ever posted. Now, let's dive into the nitty-gritty. Now that you've got the steps down, let's get into some tips and tricks. Test out live video using the "Only me" privacy setting. Don't worry about mistakes or stutters. 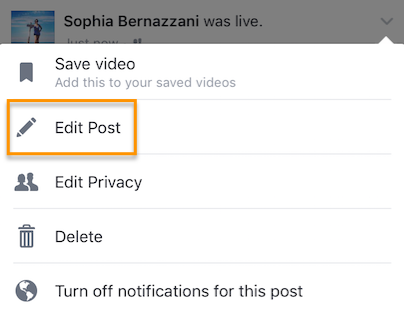 There are a lot of little things you can do to squeeze the most out of your Facebook Live videos. Below is an example of one of the earliest Facebook Live videos from Refinery29. This was the first video of a five-part live video series called "Chasing Daylight," showcasing a typical night out for women in five different cities around the world. 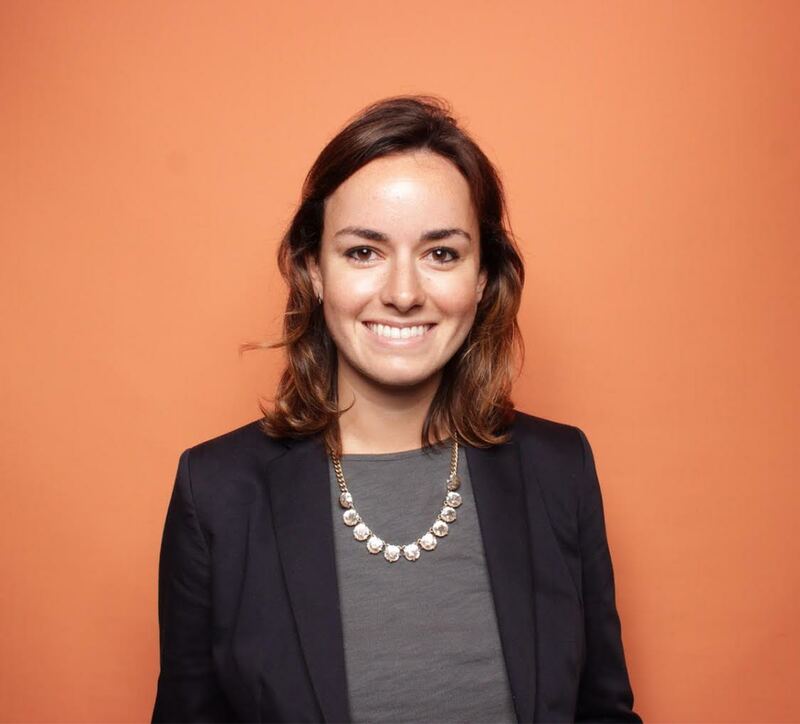 My colleague, HubSpot Marketing Manager Lindsay Kolowich, tracked this one down, and we refer to it in some of the tips below. 1. Test out live video using the "Only me" privacy setting. 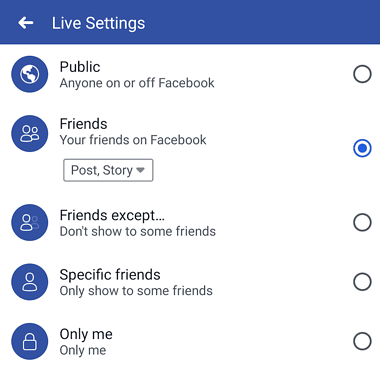 If you want to play around with live broadcasting without actually sharing it with anyone else, you can change the privacy setting so you're the only one who can see it -- just like with any other Facebook post. To switch the privacy setting to "Only Me," follow steps 1–4 in the instructions above. When you first start the video, take a minute to introduce yourself and what the video's about. But keep in mind that when you first start live streaming, you may have zero people watching. Even a few seconds in, you could only have a handful of viewers. 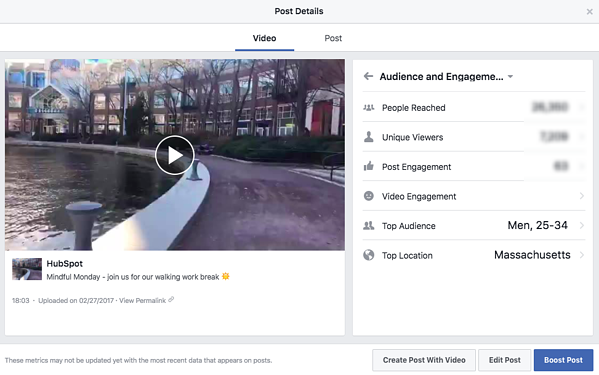 As people find your video on their News Feeds, they'll join in -- but that means you'll want to reintroduce yourself a second, third, and even a fourth time to catch people up. "Hello, Facebook Live! Hey! Lucie Fink here. I don't know if we have anyone on the broadcast yet, so I'm going to wait about one minute to see who joins us." "Hello to the 309 viewers in here right now. I'm Lucie Fink from Refinery29. Just to recap what's happening right now, this is Episode One of Refinery29's new global initiative, 'Chasing Daylight.'" "Just to give a quick recap on who I am, in case you guys don't know -- I'm Lucie Fink. I work at Refinery 29. Today, I'm doing this whole new series, and this is essentially giving you guys a glimpse into the lives of women all over the world." "So now that we have 3.5 thousand people in this broadcast, let me just start from the top because some of you might not know what is happening. I'm Lucie Fink from Refinery29, and you might know me from some videos, you might not. Either way, it is nice to meet you. Today, we are starting a new video series on Refinery's Facebook Live platform. It's called 'Chasing Daylight,' and it's gonna be on every night this week." "That's what I think is so cool about 'Chasing Daylight.' For the people who are new and don't really get why I'm sitting on my toilet, the answer is, I am Lucie Fink, and [this is] Episode One, the New York version of 'Chasing Daylight,' which is Refinery29's new live Facebook series that's starting right now." You have to be visually engaging -- not just at the very beginning of your broadcast (although that'll be important for when folks view the video later), but throughout the video as more and more people join in. The more visually engaging you can be, the more you can entice people to stick around. That means keeping the camera moving and not just sitting in one place -- something Lucie did really well in that Refinery29 video. Not only will you get more viewers this way, but you'll also get your broadcast ranked higher in other people's News Feeds. Facebook started monitoring signals of video engagement -- like turning on the audio, switching to full-screen mode, or enabling high definition -- interpreting that as users enjoying the video. As a result, they've tweaked the algorithm so videos that are engaged with in these ways will appear higher up on the feed. What makes a live video special? The spontaneous, interactive nature of it. People love the ability to interact, and they love the novelty of viewing someone in a live moment when anything could happen. In many ways, it's the new reality TV. A big part of what makes Refinery29's live video so great is how much Lucie and her friends embrace the "live," spontaneous nature of it. For example, at one point, Lucie calls on her friends to reenact a scene from the Broadway show Hamilton. It was scrappy, unrehearsed, and really funny. Her other friends were laughing at her. It reminded me of a fun night with my own friends. "This is literally what we do at the office," Lucie said about the performance through laughs. These moments are what make live video special, and they're exactly what differentiates it from scripted, edited, or otherwise pre-recorded videos. Embrace the platform. Banter is always, always good. 6. Don't worry about mistakes or stutters. Spontaneity works -- even if your Facebook Live doesn't go according to plan. Let's face it, we're all human. And when humans and technology mix, there can sometimes be technical difficulties. If you're recording a live video, things might go wrong -- your equipment could malfunction, you could lose your train of thought, or you could get photobombed by a random passerby. You can't call "cut" if things happen -- you have to roll with them and keep filming and talking. For example, if you make a mistake during your Facebook Live, ask viewers to write in the comments if they've made the same mistake, too. "If you like this broadcast and share it right now, you guys will be part of this brand new series that's starting right now on Refinery29." "If you guys share this broadcast, you'll be part of history. And what's better than being part of history?" "Thumbs up if you like Hamilton." "Thank you guys for all these Likes. My screen is absurdly blue right now because I'm getting tons of thumbs up." I like the last example the best because she's asking viewers to share it with a specific type of person -- in this case, a best girlfriend. This might prompt viewers to think, "Hey, she's right, my friend Stacy might like this" and then share it with that specific friend. The number of comments on your broadcast is another way to get Facebook to give it a higher relevancy score, making it more likely to show up on people's News Feeds. So encourage your viewers to comment, and engage with people who are commenting by answering their questions and calling them out by name. Not only will it get more people to comment, but it's also a fun way to include your viewers in the live experience, which could make them stick around longer. 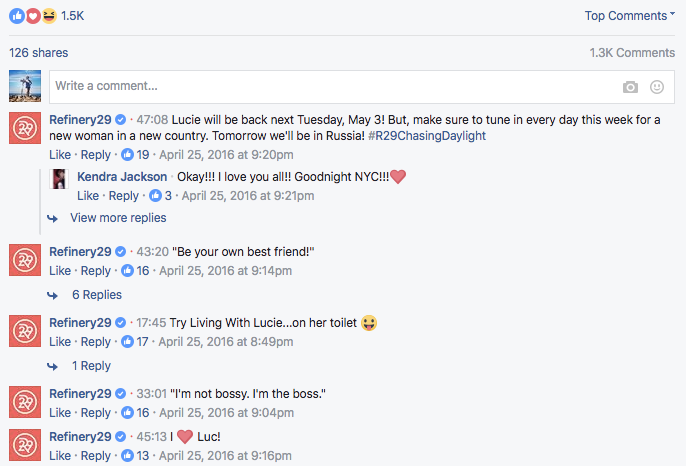 In the Refinery29 video, Lucie was constantly engaging with viewers and commenters. At one point, for example, she said, "We're so excited to see you guys! Do you have any questions for someone who lives in New York City?" Then, she read a few of the comments that came in and responded to them -- using commenters' first names. We do this here at HubSpot with our Facebook Live broadcasts, too. Check out all the chatter in the comments -- we used those questions to keep our discussion going. 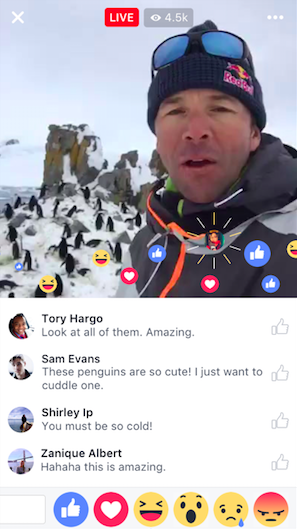 When you're the one holding the camera for a Facebook Live video, it's really hard to see the comments popping up on the mobile screen. If the comments are coming in fast, it's especially easy to lose sight of them as they disappear below the fold. Plus, you're probably occupied by recording and entertaining viewers. Because of this, it's always a good idea to have an additional person logged into the primary account to monitor the comments on a desktop computer. That way, they can take care of responding so the person recording the video can concentrate on creating a great experience. Your viewers may be tuning in and out to watch your video during the work day, or they might simply be watching your video without sound. Either way, periodically subtitling the video in the comments section is a great way to keep people engaged. This also allows people who are tuning in late to catch up on what's going on. 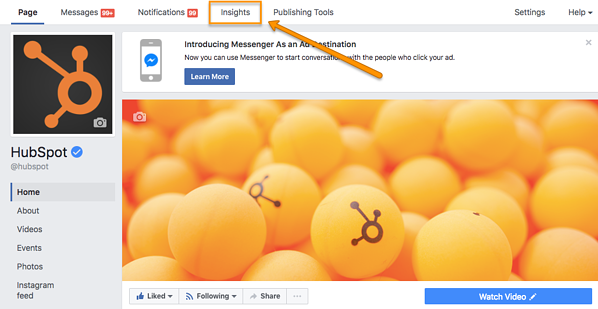 In addition to asking for Likes, shares, and comments, ask viewers to subscribe to live notifications. 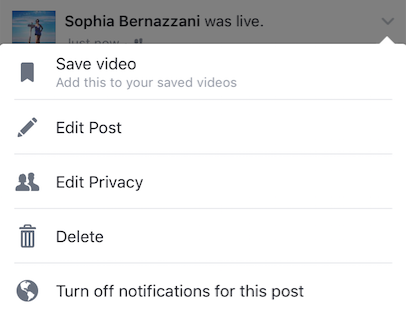 To do that, all viewers have to do is click the small, downward-facing arrow in the top-righthand corner of the live video post, and choose "Turn On Notifications." You can also ask them to Like your brand on Facebook, which will make it more likely that they'll be notified of your next live broadcast. Lucie does this in the Refinery29 video. As soon as you begin recording your live video, you'll start slowly but surely showing up in people's News Feeds. The longer you broadcast -- especially as Likes, comments, and shares start coming in -- the more likely people are to discover your video and share it with their friends. Before you end your live broadcast, be sure to finish with a closing line, like "Thanks for watching" or "I'll be going live again soon." "So, we are about to sign off. It's been such an amazing first episode of 'Chasing Daylight.' . . . Don't forget to share this to your friends right now so you can always find this series and go back to it. . . . We're so happy that you tuned into our episode in New York. . . . Goodnight from New York City!" 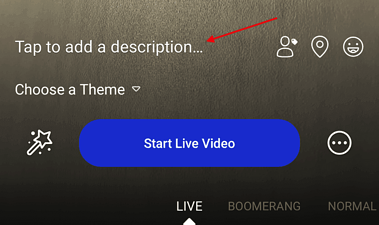 Once you've finished the live broadcast, you can always go back and edit the description, change the privacy settings, or delete the video, just like you would any other post. Here's where you can add a trackable link to the description in the post, which can direct future viewers to your live video series page, the site of whatever campaign you're using the video to promote, or somewhere else. 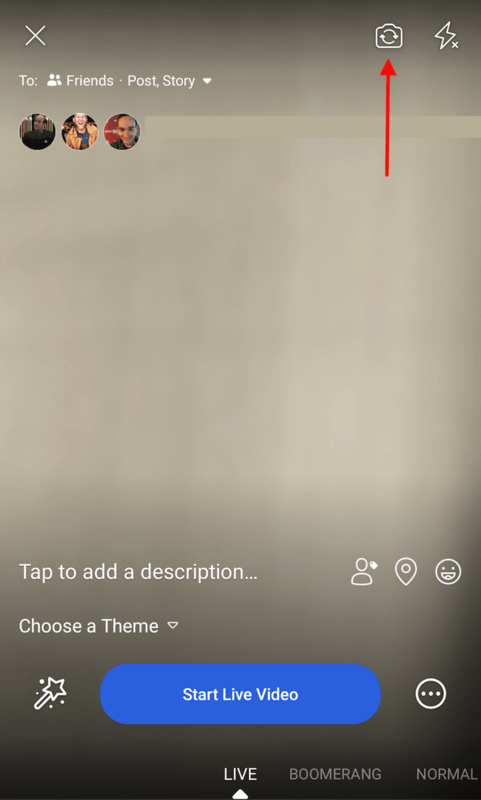 To edit the description of a video: Find the video on your Timeline or Page and click the downward-facing arrow in the top-righthand corner of the post. Choose "Edit Post" from the dropdown menu, and edit the description accordingly. We hope this has been a helpful guide. We'll keep you posted with any new developments and tips for connecting with your audience in more cool ways.